Airbus has officially announced that during the French Prime Minister's recently concluded official trip to India this week, it has struck a major aircraft leasing deal with Air India and Jet Airways to lease up to 35 aircraft from 2011 onwards. 9W will be leasing 10 Airbus A 330s which are a mixture of A 332s and A 333s where as AI shall be leasing 10 A 330s and 15 A 320s. 9W announced too that some of these A 330s will be used to launch new nonstop flights from Mumbai to Rome as well as services to Amsterdam are being seriously evaluated. AUH - new 4 weekly nonstop flights to be launched from June 1st using a 2 class Airbus A 330-300. ORD - new daily nonstop flights to be launched from Sept 1st using a Boeing 777-300ER. YYZ - frequencies increased from 12 weekly to double daily nonstop using a B 773ER for all services effective May 1st. JFK - frequencies increased from triple daily to 4 times daily from May 2011 using a B 773ER for all services. Singapore Airlines has officially announced that it shall be launching a new Airbus A 380 route i.e. LAX-Los Angeles from the on set of the IATA Summer 2011 schedule i.e. March 27th. SQ confirmed that the flight to LAX operated via NRT-Tokyo shall be upgraded from a daily B 744 to a daily A 380. It will be the first Asian airline offering trans-pacific A 380 service as a result of this upgrade. BAH - frequencies increased from 5 to 6 weekly nonstop flights using a B 738. CDG - frequencies to be increased from 10 to 11 weekly nonstop flights. KWI - frequencies increased from double daily to triple daily nonstop. FCO - frequencies increased from 9 to 12 weekly nonstop flights. DAM - frequencies increased from 11 weekly to double daily. MUC - capacity increased from daily B 738 to 2 weekly A 332s + 5 weekly B 738s. DOH - capacity increased from daily A 320s to 5 weekly A 342s + 2 weekly A 320s. LCA - frequencies increased from 4 to 5 weekly nonstop flights. AUH - capacity increased from a daily A 332 to a daily B 772. BEY - frequencies increased from 16 weekly to triple daily. BCN - frequencies increased from 5 weekly to daily. BRU - frequencies increased from 6 weekly to daily. AMM - frequencies increased from 19 weekly to triple daily. AMS - frequencies increased from 6 weekly to daily nonstop. ATH - frequencies reduced from 12 to 10 weekly nonstop flights. JED – frequencies reduced from triple daily to double daily. MUC - frequencies increased from 2 to 3 weekly nonstop flights. SAH - frequencies increased from 3 to 4 weekly flights. BSR - capacity reduced from 4 weekly E95s to 4 weekly E75s. AMS - frequencies increased from 5 to 6 weekly nonstop flights. ATH - frequencies reduced from 6 to 5 weekly nonstop flights. BOM - frequencies increased from 2 to 3 weekly nonstop flights using an A 319. BRU - frequencies increased from 2 to 3 weekly nonstop flights. CMB - frequencies increased from 3 to 4 weekly nonstop flights. XMN - new 3 weekly nonstop flights to be operated to Xiamen, China using a B 772ER. ALA - frequencies increased from 4 to 5 weekly nonstop flights. 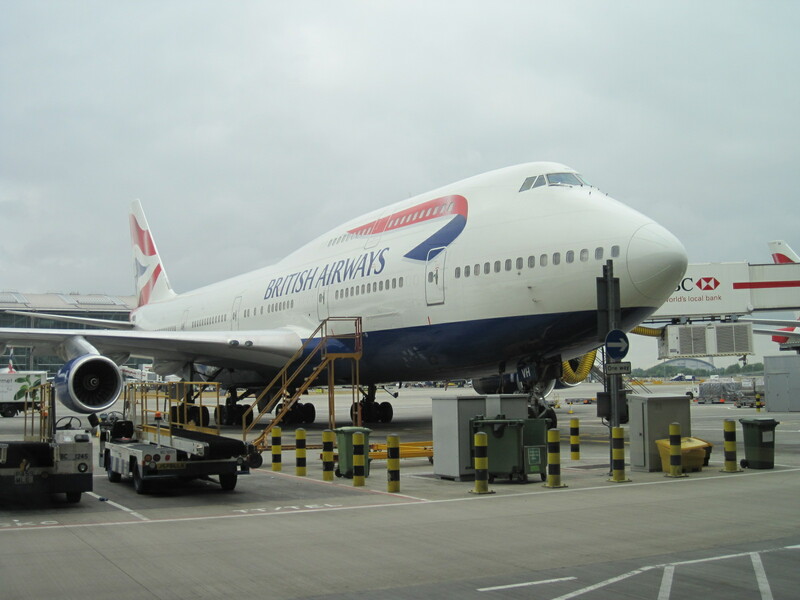 CTU - cargo capacity increased from 4 weekly B 772ERs to 4 weekly B 744 Combis. EBB/KGL - frequencies increased from 5 to 6 weekly nonstop flights. Air China has officially announced that it will be increasing frequencies to YVR-Vancouver, Canada for the IATA Summer 2011 season. Currently, CA operates a 10 weekly nonstop service using an A 330-200 for all flights from its Beijing hub. These shall be increased to 12 times per week nonstop using the same aircraft type. Air Canada has officially announced that it will be increasing capacity to PEK-Beijing for Summer 2011 from May 2nd onwards. Daily flights operated with a Boeing 767-300ER shall be increased to a larger Boeing 777-300ER. 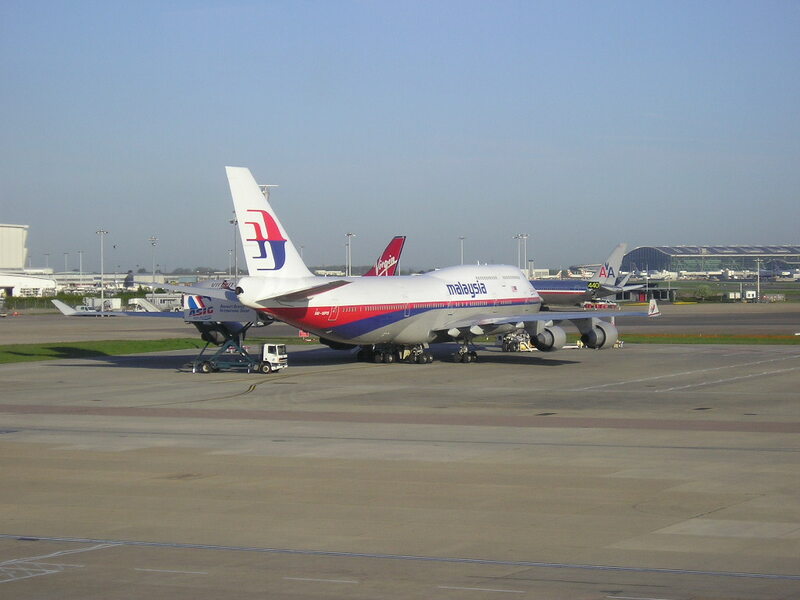 Malaysia Airlines has officially announced that it will be increasing frequencies to ADL-Adelaide, Australia from the on set of the IATA Summer 2011 season i.e. March 27th. Flights shall be upgraded from the current 4 weekly to 6 times per week nonstop operated with a Boeing 777-200ER only. MH is the only airline operating international long haul services to/from ADL. Air Asia X has officially announced that it shall be launching new nonstop flights to CHC-Christchurch, New Zealand from April 1st 2011. D7 will be operating the flight 4 times per week from its KUL hub using a 2 class configured A 330-300 seating 383 passengers. Tunis Air of Tunisia has officially announced that it shall be inaugurating new nonstop flights to YUL-Montreal, Canada from June 2012. Flights will be operated twice a week nonstop using an Airbus A 330-200. Qatar Airways has officially announced that it will be serving EZE-Buenos Aires nonstop from Doha in the near future as the carrier is now seriously focusing on expanding its presence in Latin America. It has also confirmed that it will be launching 2 new cities in China as part of its expansion plan in 2011-12. These two are expected to be Xiamen and Chengdu. HAM - frequencies increased from daily to double daily flights using a B 773 and a B 772ER each respectively effective Sept 1st. MAD - capacity increased from Oct 30th 2011 from daily A 343 to daily B 773ER. SYD - frequencies increased from double to triple daily with the third nonstop flight operated nonstop with a B 773ER effective Oct 1st. AMS - capacity increased to a daily B 773ER versus 6 weekly B 77Ls + weekly B 773ER effective June 1st 2011. ZRH - capacity increased to double daily B 773ERs versus daily B 772ER + daily B 773ER effective Sept 1st 2011. MXP - capacity increased from Oct 30th 2011 from double daily A 343 to daily B 773ER + daily A 343. SIN - frequencies increased to 4 times daily with the new additional flight being operated with a B 773ER effective Oct 29th 2011. It is expected that since this new frequency has a 12 hour ground time at SIN, a tag on to DPS-Bali is also expected to happen in due course. BKK - frequencies increased to 4 daily nonstop flights i.e. triple daily B 773s + daily A 380 effective May 30th 2011. Turkish Airlines has officially announced that it will be undertaking another round of significant expansion in China this winter season by increasing its presence in the Communist state by adding more flights. Effective Jan 30th 2011, TK will be launching new 3 weekly nonstop flights to CAN-Guangzhou, China operated with a Boeing 777-300ER. In addition, it has also confirmed that its services to PEK-Beijing shall be further increased from the current 5 weekly to a daily nonstop terminator service using a B 777-300ER as well. Air France has officially revealed its latest Airbus A 380 destination i.e. IAD-Washington DC, USA. From June 6th 2011, capacity shall be greatly increased from double daily B 772ERs to a daily A 380 + daily B 772ER. IAD is one of AF's highest yielding long haul routes seeing consistently high loads in the premium cabins in particular. Air Arabia of Sharjah, UAE has officially announced that it shall be launching new 4 weekly nonstop flights to KABUL, AFGHANISTAN effective Dec 16th 2010 using an Airbus A 320-200. Royal Jordanian has officially announced that it shall be launching new nonstop flights to TXL-Berlin, Germany effective June 2nd 2011. RJ will be operating the service twice a week nonstop using an Airbus A 320-200. Its main purpose is to connect an upcoming major One World partner hub of Air Berlin and to offer seamless connections for the massive Iraqi and Arab diaspora community residing in the city itself. RAK Airways of Ras Al Khaimah, UAE has officially announced that it shall be launching 3 new routes this December as part of its rapid expansion within a 4 hour flying radius of RAK airport itself. The 3 new routes it announced to be flying are Chittagong, Dhaka and Cairo. All flights shall be flown using its fleet of used/leased Boeing 737-400s only. Services to all these three new cities will be operated three times per week nonstop only effective Dec 15th 2011. Hawaiian Airlines has officially confirmed that it has placed an order with Airbus for 6 additional Airbus A 330-200s to the ten it already has previously ordered from the manufacturer. These additional A 332s will be used to fully replace the B 763ERs and to expand further with new long haul nonstop flying from HNL to the U.S. East Coast + Far East Asia and Australia/AKL. HA's A 332s seat 294 passengers in a 2 class configuration. PAL-Philippine Airlines has officially announced that it shall be launching new flights to New Delhi, from March 27th 2011. PAL operate a 6 times weekly service between its Manila hub and Delhi using an Airbus A 330-300 for all the flights. The flight routing though would be 3 weekly nonstop terminator flights and the remaining 3 flown via Bangkok with full 5th freedom rights. 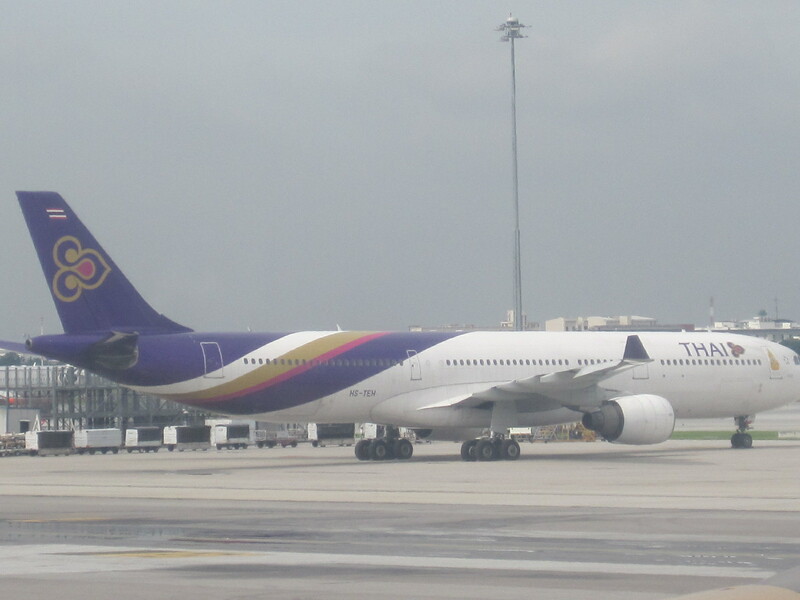 Thai Airways has officially confirmed that due to high demand for its flights to Oslo, Norway on a year round basis, it will be increasing frequencies on the BKK-OSL route from March 27th 2011 onwards. Frequencies shall be upgraded from the scheduled 5 weekly nonstop services to a daily operation using a Boeing 777-200ER (292 seater) for all the flights. United Airlines has officially announced that it will be launching new flights to LOS-Lagos, Nigeria from its IAD-Washington DC hub base effective Dec 12th 2010. UA shall be operating a daily flight on this sector via Accra using a 185 seater Boeing 767-300ER. However, it is expected that with the tag on service, capacity is expected to be increased to a Boeing 777-200ER by Summer 2011. Air Arabia of Sharjah, UAE has officially announced that it shall be launching new flights to Kuala Lumpur, Malaysia via Kathmandu, Nepal effective Dec 16th 2010. It does have 5th freedom rights on the KTM-KUL-KTM sector and all flights shall be operated using an A 320-200. KTM will remain a double daily service with this new tag on flight. PEK / MXP - new 3 weekly nonstop flights to be flown using an A 332 effective June 15th. PEK / DUS - new 4 weekly nonstop flights to be flown using an A 332 effective March 27th. PEK / STO - frequencies increased from 5 weekly to daily nonstop flights using a B 772ER. In addition Air China also officially confirmed that it has placed an order with Airbus for 10 A 359s plus 10 Airbus A 332s. The A 359s will be used to gradually replace its entire Boeing 777-200 fleet. Air Asia X has officially confirmed that it will be launching new nonstop flights from its KUL hub to ORY-Paris Orly airport effective Feb 14th 2011. Flights shall be operated 4 times per week nonstop using a 2 class configured Airbus A 340-300. BOS/LHR - new double daily nonstop flights to be launched using a B 763ER. BOS/CDG - new daily nonstop flight to be launched using a B 757. SEA/AMS - frequencies increased from 10 weekly to double daily nonstop using an A 330. JFK/CDG - new daily nonstop flight to be launched using a B 763ER. MIA/LHR - new daily nonstop flight to be launched using a B 763ER. NRT/MNL - frequencies increased from daily to 11 weekly. NRT/CAN - capacity increased from daily B 757s to daily B 763ER. DTW/PEK - 5 weekly nonstop flights to be reinstaed using a B 772ER. KLM has officially confirmed that it will be dry leasing into its fleet 3 brand new Airbus A 330-300s meant primarily for expansion along with purchasing 5 new Embraer E190s. The A 333s will be delivered to the carrier in 2012 which will be replacing B 772ERs on trans-atlantic flights which in turn will be freed up to expand further in Far East Asia and Latin America. RAK Airways of UAE has officially announced that they will be launching new flights to Bangladesh from Dec 15th 2010. Three weekly flights each shall be operated nonstop from its RAK-Ras Al Khaimah home base using a Boeing 737-400 to both Dhaka and Chittagong. The flights are primarily targeting O&D traffic + 6th freedom transit traffic bound to JED. Turkish Airlines has officially confirmed that it shall be further increasing capacity to ALA-Almaty, Kazakhastan from the on set of the IATA Summer 2011 season. The new plan calls for all IST-ALA daily flights to be operated with A 333s rather than 3 weekly B 738s + 4 weekly A 333s. The primary reason for this major capacity upgrade is due to high demand in the business class cabin + cargo. The above mentioned flight schedule for its 'EU/North American destinations' has a good connection from IAH, JFK and LHR only but out of BSR, a minimum transit of 7-11 hours is required at DXB airport. EK too has confirmed that it is further increasing flights to both Jeddah and Riyadh from Jan 5th 2011 from 12 weekly to double daily nonstop to each city respectively. The additional 2 JED flights will be operated using an A 340-300 where as the 2 additional RUH flights will be flown with an A 330-200. 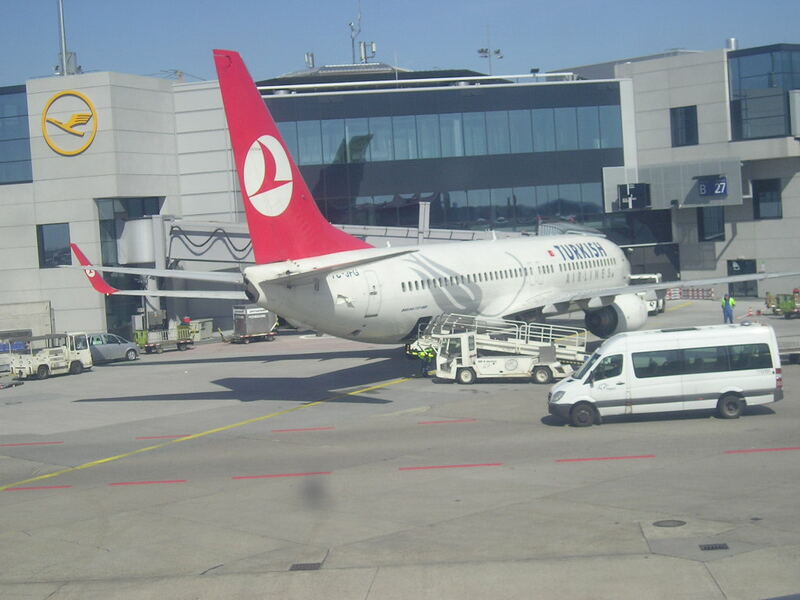 Lastly, according to Frankfurt Airport slot filings for the IATA Summer 2011 season, EK has applied to increase its popular DXB-FRA nonstop service from double to triple daily with the third daily flight arriving into FRA at 6am and departing at 850am. For this service, EK will be utilizing a 2 class configured Airbus A 330-200 if approved by FRA Airport Authorities. Lufthansa has officially announced that it is going to be increasing capacity to ORD-Chicago, USA for the IATA Summer 2011 season. Currently, LH was planning to operate from FRA nonstop to ORD on a daily basis using an A 340-600, however that is being changed to a larger Boeing 747-400. 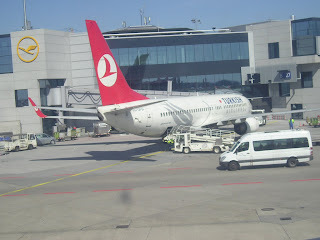 Turkish Airlines has officially confirmed that it will be increasing frequencies to South Africa from January 17th 2011 as the carrier looks to further expand its presence on this popular route. An additional 5th weekly flight will be added and be flown as per the normal rotation i.e. IST-JNB-CPT-JNB-IST. However from April 23 2011, capacity will be further increased to a 5 weekly A 330-300 which seats 289 passengers in a 2 class configuration versus TK's A 343s that seat 270 pax. DXB - capacity increased to daily A 333 + daily A 321. IKA - capacity increased to 4 weekly A 333s + 10 weekly B 738s. ICN - frequencies increased from 5 weekly to daily nonstop flights using an A 332. CMN - capacity increased to daily wide bodied service i.e. 4 weekly A 343s + 2 weekly A 333s + weekly A 332. Alitalia's CEO has officially announced that the Italian state carrier will be launching new nonstop flights to PEK-Beijing, China effective June 2011. AZ will operate the service nonstop from its main FCO-Rome hub using an Airbus A 330-200 five times per week. Sky Mark Airlines of Japan who shocked the airline industry worldwide last week with its order of 6 A 380s has officially revealed its business plan on what it intends to do with these aircraft. In a total U Turn from its current low cost business model, the carrier plans an ultra-premium configuration for its super jumbo fleet seating 394 passengers only in a 2 class configuration. It will install 114 business class flat bed seats with a 60 inch seat pitch along with 280 premium economy class seats with a 38 inch seat pitch. The initial 6 aircraft will be used to operate nonstop services to New York, Frankfurt and London initially. After it receives all of its 6 A 380s, pending performance, the airline intends on ordering a further 9 units to expand to Paris, LAX, Vancouver, Rome, Hawaii, Bangkok, Melbourne and Singapore. Egypt Air has officially confirmed that it shall be increasing capacity to DXB-Dubai from January 1st 2011 by deploying a double daily nonstop service using Airbus A 330-300s for all the flights instead of a mixture of A 330s and B 738s. MS too reconfirmed that its popular CAI-LHR nonstop flight will henceforth too be operated exclusively with a Boeing 777-300ER rather than an Airbus A 330-300. Malaysia Airlines has officially confirmed that it will be increasing flights to AKL-Auckland, New Zealand from the on set of the IATA Summer 2011 season i.e. March 28th 2011. MH will be launching a 6th additional weekly nonstop flight to AKL from its KUL hub using a Boeing 777-200ER which is also the aircraft type being used for all the other flights as well.